When-To-Go: Daily, 7 a.m. – 3 p.m.; Sunday – Thursday, 5:30 – 10 p.m.; Friday – Saturday, 5:30 – 11 p.m.; daily happy hour 3 – 6 p.m. The 4-1-1: This hotel has quite the history! Way, way back in the day, it was the stomping grounds for megastars including Mae West, Lucille Ball and Marilyn Monroe, who apparently even lived here for some time. It’s also been a retirement home and apartments before being renovated once again into a hotel in the late ‘90s. Parking Situation: Valet or very limited street parking. I’ll Be Back…: For the dineL.A. experience! 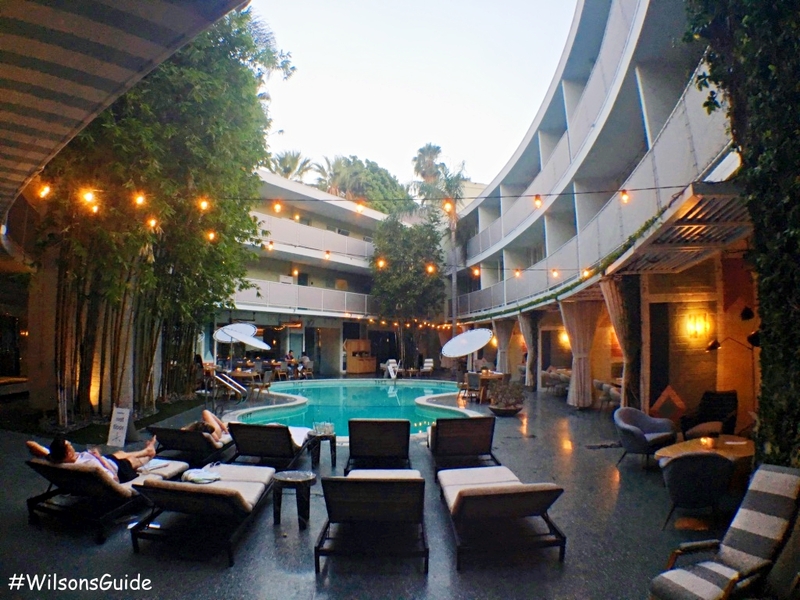 The Avalon Hotel Beverly Hills is a hidden gem, and I mean that both literally and figuratively. Tucked away in a residential part of Beverly Hills, if you blink too fast, you might miss it. But right on the corner of Olympic Blvd., slightly east of S. Beverly Dr., this unassumingly glitzy boutique hotel offers both old Hollywood charm and subdued relaxation, all in a California chic, mid-century modern setting. 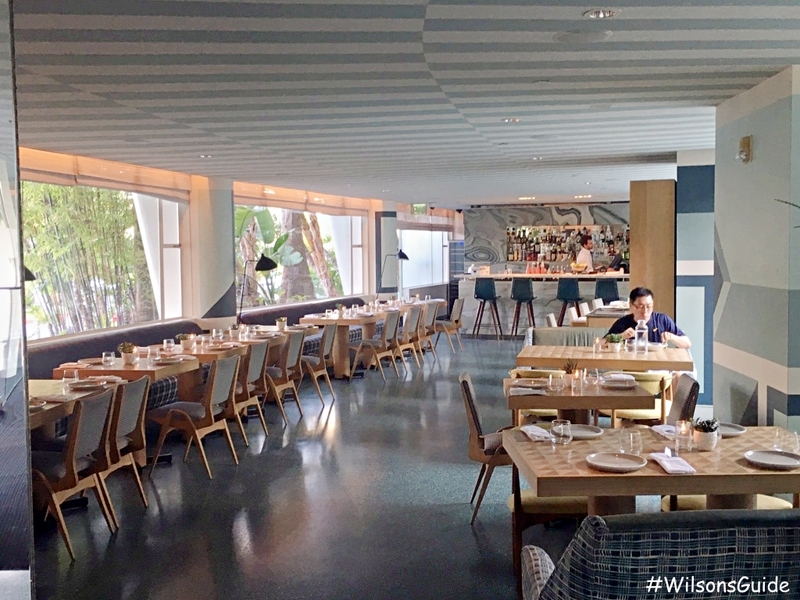 I've been going to the hotel’s restaurant for years, partially because it’s been the perfect business setting to grab morning breakfast, midday lunch or afternoon cocktails. With its modestly elegant, airy vibe, it’s classy enough to woo a client, intimate enough to hold a conversation and close enough to nearby offices in Century City and Beverly Hills for quick access. And, what I love most — how the entire indoor-outdoor setting seems to center around the main focal point of the hotel grounds: the curvaceous, glistening pool! Whether dining inside or outside, from nearly any seat, you can get a glimpse of the sparkling beauty, no matter where you are. 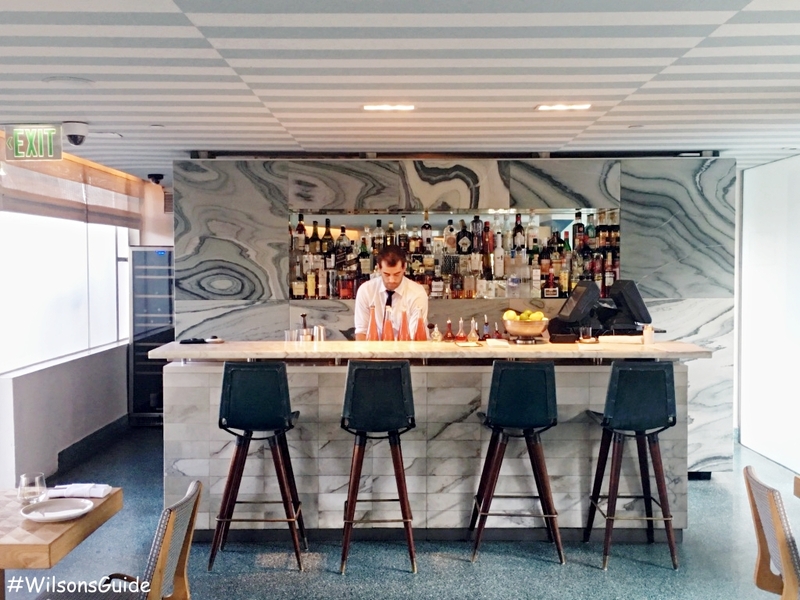 I’ve seen the restaurant change names and focuses, but for the past several years, it’s been coined Viviane and, since this past May, it has a new executive chef, Jack Hotchkin. Hotchkin, who’s had stints at L.A. staples like the Soho House and Chateau Marmont, has crafted a menu that has American, European and California influences, with lots of colorful, vibrant produce that we Angelenos can never get enough of — like avocados and kale — and lots of light options (for example, seven out of 15 Starter / Salad / Main dinner items are seafood items, like octopus, scallops and salmon). Over the weekend, a good friend of mine and I had the opportunity to check out some of Hotchkin’s latest creations when I visited for dineL.A., which runs from now until next Friday, July 28 and features a three-course dinner, with two to three selections per course. There are both items off the regular menu and a few that you can only find for this special occasion. 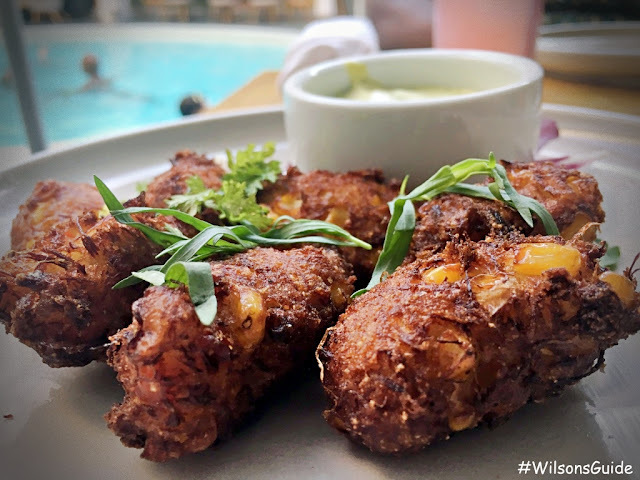 The Crab and Corn Fritters — oval-shaped fried balls of goodness, crab and corn, with a creamy avocado, cilantro aioli. To note: the fritters aren't on the regular menu; they’re a dineL.A. special. 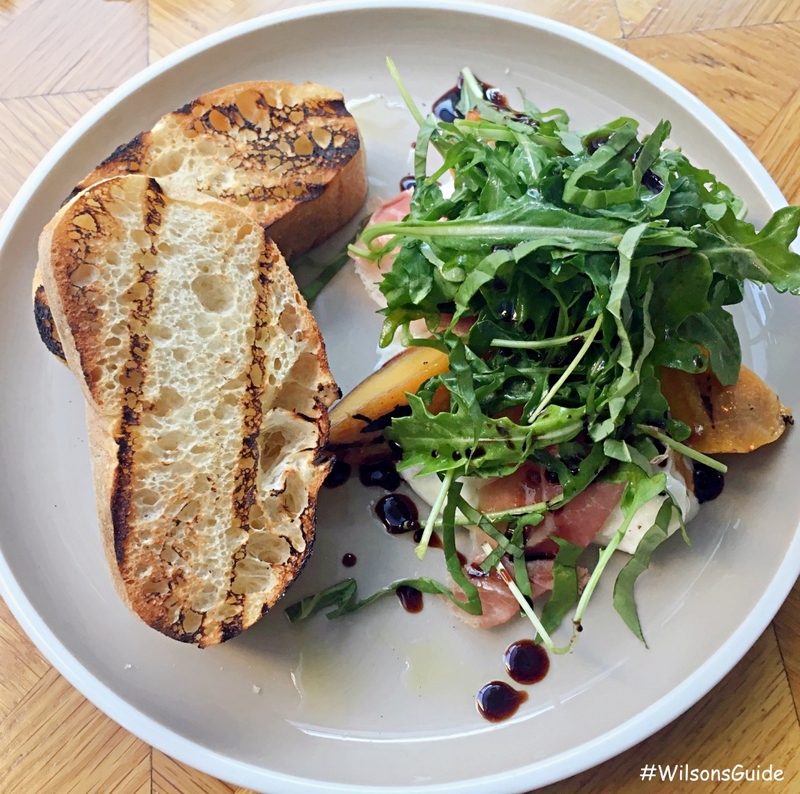 The Grilled Peach Burrata with prosciutto, loads of fresh basil, a balsamic glaze and two slices of grilled ciabatta bread. Definitely bursting with a lot of different flavors and textures — from sweet and savory, to creamy and crunchy — to make this appetizer fun to try. 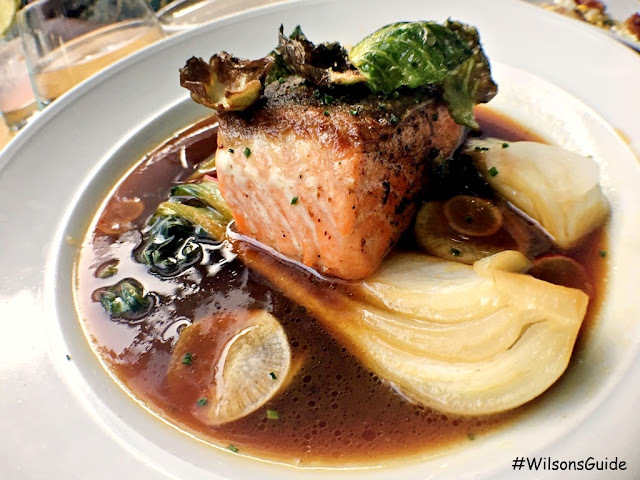 The Pan Seared Salmon came in what was almost like a ponzu broth that teemed with steamed bok choy and radish slices. Somehow both the salmon skin and the Brussels sprouts leaves balancing on top of it managed to stay crispy, which gave a nice juxtaposition between textures. 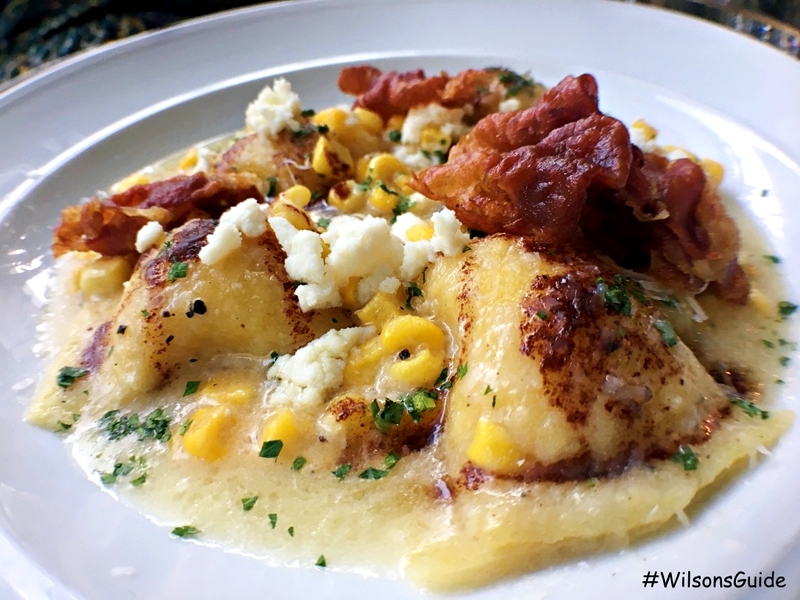 The Pancetta & Sweet Corn Agnolotti dish featured pasta stuffed with a sweet corn mixture, then topped with crunchy pancetta, corn kernels and cheese, all bathed in a rich brown butter sauce. We went a little rogue, and instead of opting for the two dineL.A. 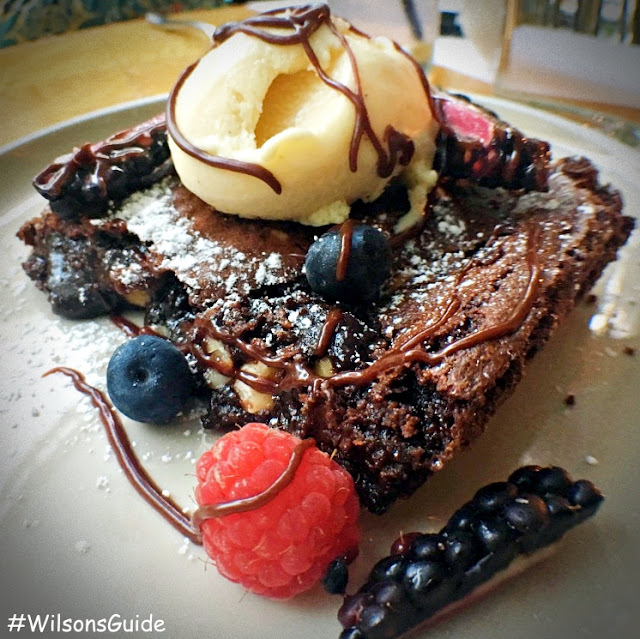 options (Chocolate Pot de Crème or Assorted Ice Cream), we went with the Vanilla Bean Panna Cotta and Hazelnut Brownie with vanilla gelato, pictured below. We were both soooo full that it was hard for either of us to stuff down more than a few bites, but we did agree that these desserts were super, super rich in flavor and quite decadent as well. You can check out Viviane’s entire dineL.A. 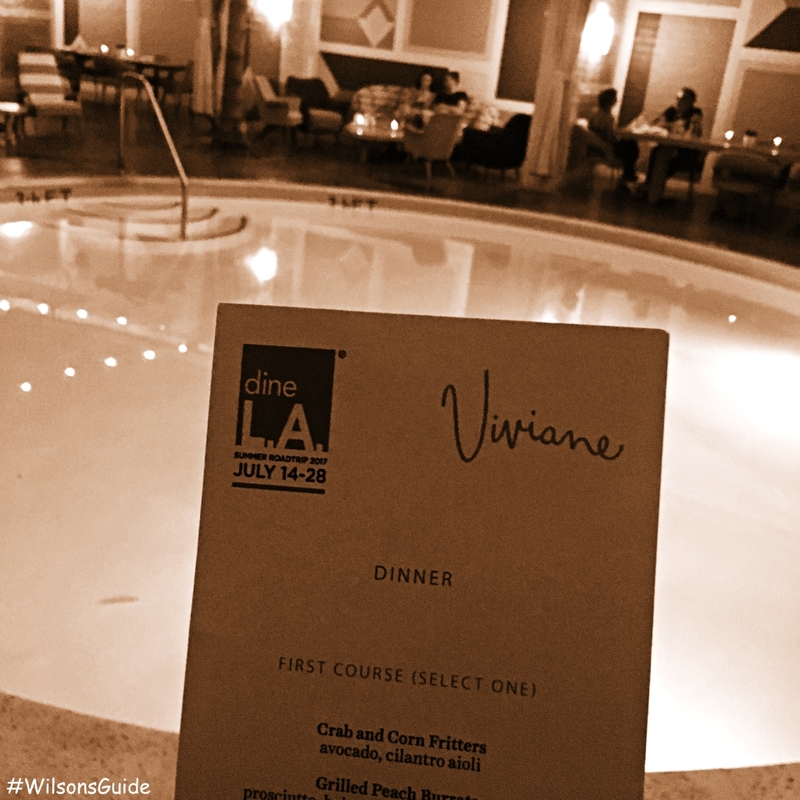 menu here and the next time you're in the mood for some Cali-inspired nibbles — perhaps poolside, in a super chill, upscale ambiance — check out Viviane. Oh my goodness! That food looks soooo yummy. I love eating poolside. Beautiful photos. 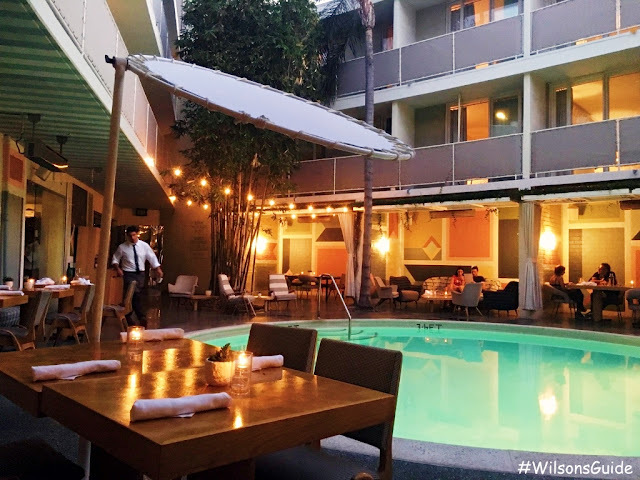 A bi-weekly blog featuring where to eat, drink & be merry in Los Angeles. Get Posts E-mailed to You!